While some might question their academic value, documentaries provide an accessible, relatively popular, window through which to look at the history of education. For many of us a relevant documentary provides an opportunity for a moment of tea, toast and ‘guilt-free’ TV. Sometimes a documentary sparks a lively debate or new line of academic interest. Discussing documentaries with friends of the History of Education Society, produced the following sample of ten thought-provoking film recommendations. What would you add? Please share your favourites with us on Twitter and Facebook. 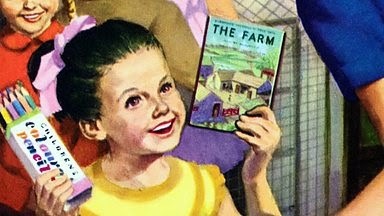 Documentary on the creation and popularity of the Ladybird books, provides insights into literacy, learning of the world, and childhood culture of the second half of the twentieth century. Most interesting are the illustrations capturing the 1950s idealisation of childhood. Oral testimonies document the abuses of the Indian Boarding Schools of North America and discuss their ongoing impact experienced as continued intergenerational trauma suffered in native communities. A piece of ‘imperial nostalgia’. Footage from the mid twentieth century. Segments on connecting teachers and children in rural Canada (school boat, and school rail car) and Australia (radio). 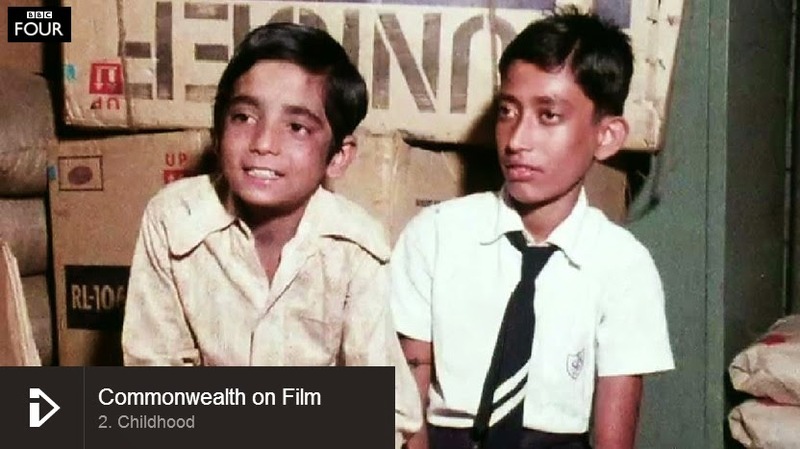 Clips of schools in Barbados and Kenya and interviews with Indian school boys. Five-part documentary on Hitler’s harnessing of children in the Third Reich, and their experiences through the Jungvolk, Hitler Youth to the Wehrmacht, SA or SS. Helen Keller born in 1882, suffered an illness as an infant which left her blind and deaf. This documentary tells of her life and how with Anne Sullivan’s aid she became able to communicate, growing up to become the first deafblind person to gain a bachelor of arts degree. 1940s footage of children at school and at play and during evacuation. The film provides a window into contemporary educational ideals, including gendered education, a concern for charater development and a high valuation of progressive play-based pedagogy in the early years. Documentary offers insights into experiences and perceptions of schooling in 1970s and 1980s London. The former pupils of Islington Green School featured on Pink Floyd’s 1980 hit, ‘Another Brick in the Wall’ reflect on their day-to-day experiences of school and growing up and relate the song to their lives. Roger Waters, the song’s writer, speaks of the creation and meaning of the song. Best watched in conjunction with ‘The Wall’ itself. 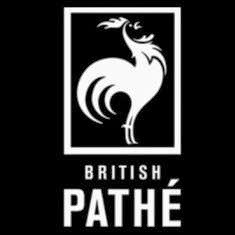 Not a documentary as such, searching for ‘education’ or ‘schooling’ within the Brisith Pathé Collection returns engaging footage from the mid twentieth century. Scott Noble seeks to expose how modern capitalist states and systems exploit human beings as a resource. The clip below is the film’s treatment of modern schooling and its relationship to behaviourism and control, with a strong focus on the work of John Taylor Gatto. The full documentary deals further with the topic of the exploitation of human resources in relation to work, production, war, society and culture. Charting the history of the Sunday Schools from their origins helping with literacy for the poor, to their popularity in the Victorian era to their decline in the late twentieth century, this film documents the influence of Sunday Schools upon British culture and education. Here are some more interesting sources: http://www.bl.uk/reshelp/findhelprestype/sound/ohist/ohcoll/education/education.html – The Television History Workshop collection (catalogue no. : C706) includes material relating to the programmes ‘Critical Eye: What did you learn in school today?’ (1990) and ‘From Butler to Baker’, two programmes on 50 years of schooling since the 1944 (Butler) Education Act (1994). Thanks Rob, for these great suggestions.